Raw outsider art painting … acrylic on a vintage postcard from the early 1900s. This piece measures 3.5″ x 5.5″ . My artworks are in happy homes around the globe in private and public collections. My art is highly collectible. I paint daily, so there’s always another piece to collect! This artwork was done by me. I am a self-taught artist that produces my artworks in my creepy basement studio in exotic Toledo, OH. 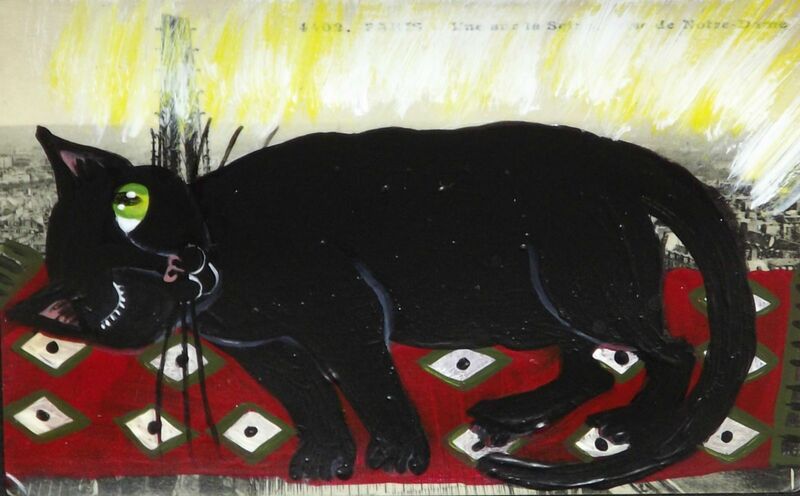 This is a laughing black cat, I am not sure why he is laughing,maybe you can come up with the reason. This watercolor and ink piece is 3.5 x 5.5 inches painted on a vintage postcard. You can purchase securely in the store. I buy stuff online. So I get deliveries and until I break a box down for the recycle bin, our black cat Noodle will attempt to sit in it. No matter the size and she’s not a small cat at all. How she can shove herself into almost any box I will never know. And she will sit there happy as can be. 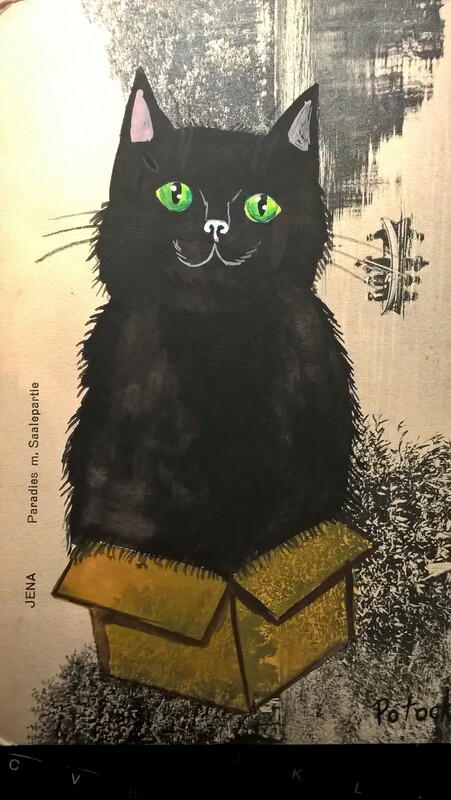 This is #2 in the Cats of May series and is 3.5 x 5.5 inches vintage postcard. This piece is sold. If you’d like a cat painting of your own – just contact me about a commission! I love Halloween. 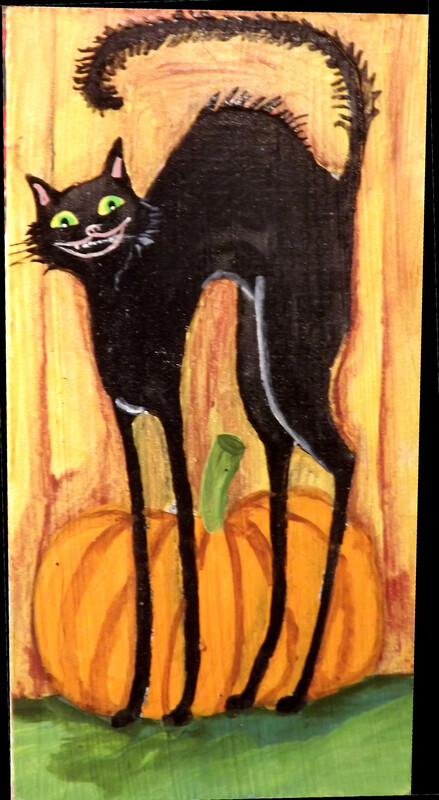 I love black cats, jack-o-lanterns, candy, scary stuff and everything about it. This piece is an acrylic painting on a thin wood block about 1/8th of an inch thick. Anyone that loves Halloween should own this artwork. I can combine shipping for up to 3 artworks. Shipping is $3 inside the USA and normally runs around $9 to most international destinations. Just contact me if you live outside the US and I can give you a quote..